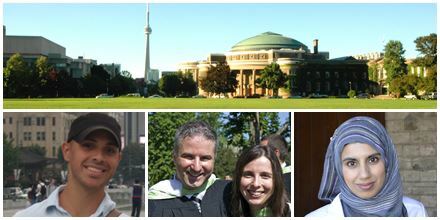 OISE University of Toronto: Building Teaching Careers - SchoolFinder.com! Start building your career in teaching by exploring our teacher education programs at OISE University of Toronto. Our teacher-education programs – including our premier Master of Teaching program -- lead to a recommendation for Ontario teacher certification which is widely respected around the world. OISE is Canada's pre-eminent faculty of education. Guided by our commitment to equity and social justice, and mindful of our special responsibility to lead, our faculty and graduates continue to shape how the world thinks and goes about education. If you are interested in becoming a Canadian-certified teacher, OISE is your foundation to begin your career in teaching. Return home as a Canadian-qualified teacher with a degree from the University of Toronto! Learn about our 2-year graduate-level Master of Teaching program leading toward elementary or secondary teacher certification. How Does OISE Build Your Teaching Career? The Master of Teaching program is one of the premier teacher education programs at OISE. This program combines a Master of Teaching degree with elementary or secondary teacher certification. Our program is suited for those who want to pursue a career in teaching combined with graduate study that may lead to a doctoral program. Becoming a teacher requires practical experience in a classroom. As part of our teacher education programs, our field practicums offer our students the direct opportunity to mentor with a seasoned teacher and see first-hand best practices in Canadian teaching. If you are interested in becoming a Canadian-certified teacher, OISE has the building blocks for a career in teaching.